In addition to a very successful Grey High School Water Polo Festival, various St Andrew’s College teams enjoyed a variety of sporting achievements over the weekend of 19-20 January. St Andrew’s College played in the annual Settlers Cup Quadrangular against Union High, Kingswood College and Graeme College on Sunday 20 January. James Sparks, Nic Brotherton, Ryan Stoddart, Guy Murray, Robbie Houghton, Walter Eksteen (coach). The St Andrew’s side started well with a clean sweep over Kingswood (12-0), playing high percentage tennis that set up good opportunities for them. They then followed this up with a solid 8-4 win over Graeme, staying focused in a more tense atmosphere on court. That lead to a final against Union to decide who takes the cup. St Andrew’s started well with good singles wins by captain Ignus Potgieter, Nic Rogan and Robbie Houghton, as well as doubles wins for Nic Brotherton and Tiro Segalo. The second round saw St Andrew’s building on the lead and eventually took the fixture 9-3, retaining the Settlers Cup from the previous year. Team captain, Ignus Potgieter lead from the front as all of the players showed great promise for the upcoming season. St Andrew’s College First team were sent into bat first by Selborne College on Saturday 19 January in East London. The first hour was tough for the St Andrew’s batsmen and Selborne were in a commanding position. St Andrew’s were on 29/2 with the two new batsman, Guy Rushmere and Matthew Schaefer, at the crease. Guy Rushmere scored 122 runs not out against Selborne College. St Andrew’s stayed composed and were resilient against the moving ball. The conditions settled, and Rushmere and Schaefer started to accelerate with purpose. Their 135 run partnership enabled St Andrew’s to declare at lunch, setting up an exciting run chase of 230 in 56 overs for Selborne. Rushmere’s 122 not out came off 162 balls, which included 11 fours and four sixes, which epitomized an impressive innings from the number three batsman. Schaefer’s determined 52 provided the support for his captain in their much needed partnership.  Selborne were quiet at the start of their innings on what was now a superb batting pitch and there was a boundary option hitting with the strong Westerly wind blowing in East London. 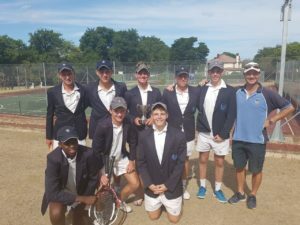 St Andrew’s waited for a Selborne onslaught, but it never arrived. The two Captains shook hands for a draw with Selborne on 140/4. 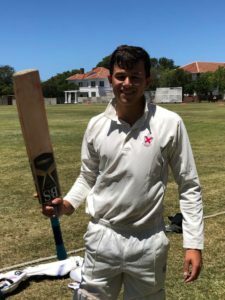 Up front, Jason Bader made 57 and Callen Watson made 44 for Selborne and it was a pity not to see their talented ball striker Ethan Boucher in full flight in pursuit of the 230 for victory. St Andrew’s College golfers competed against DF Malherbe from Port Elizabeth, for the first time in the history of the schools, at the Humewood Golf Course, on Friday 18 January. Three pairs, playing better-ball with a scrambled drive because of the gale force wind, set off with much enthusiasm on our first fixture of the year. Scoring was tough, but the St Andrew’s golfers successfully managed the elements far better than their opponents and comfortably beat them 3-0. The best St Andrew’s player on the day was Ethan Beedzke, who managed four birdies, while Kyle Letherby shot two and Matt Pope and Michell Lowe one each.